Are Those Shopping for an Online Loan More Risky? ID Analytics is enabling online lenders to know a thing or two they might not be able to find out on their own. For example, did a loan applicant apply for other loans on the same day? 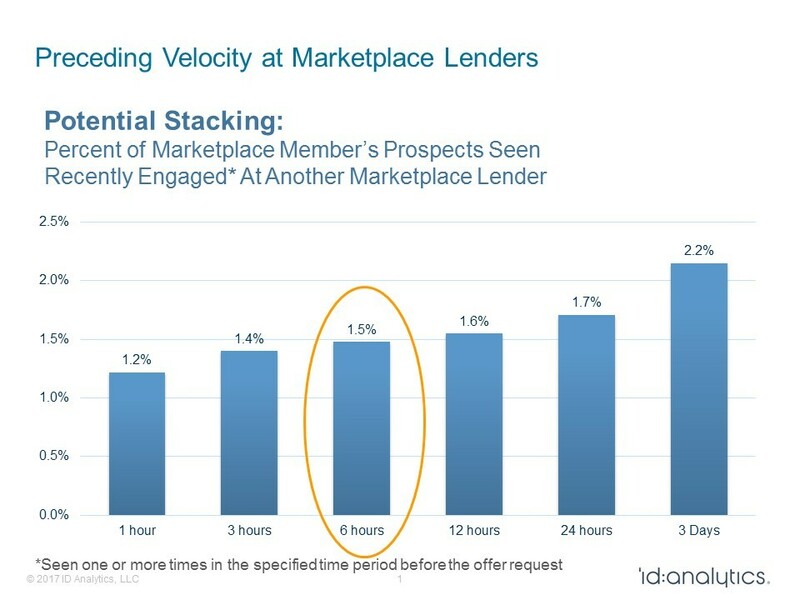 There’s a good chance ID Analytics can tell you the answer since they claim their Online Lending Network has achieved visibility into 75% of marketingplace lending activity in the US. Their network includes business lenders but it’s the individuals behind the businesses that they monitor and data shows that 1.5% of online loan applicants applied for additional loans elsewhere within six hours of submitting their application. Conventional wisdom might suggest that a shopping borrower is an engaged and responsible borrower but ID Analytics’ early research found that this group was twice as risky as the average online loan applicant. During a brief interview at LendIt, company VP Patrick Reemts said that their service isn’t limited to the point-of-application. Members can monitor their borrowers for up to 90 days and see if they apply for other loans or take other loans, Reemts explained. How lenders make use of that data is up to them though, he added. Members of the Online Lending Network must report all their volume for the value of the data to be effective. They can’t selectively decide which applicants or borrowers to put in the system. ID Analytics is also not a startup, Reemts said. Having been in business for 15 years, they’re tapped into some of the nation’s largest credit card issuers so they have visibility into traditional credit sources too. The company is a subsidiary of LifeLock, Inc.
Home › Marketplace Lending › Are Those Shopping for an Online Loan More Risky?